If you’re a fan of our yummy Chococino drink, or you love sitting down and relaxing with the Chococino Caramel, we’ve got just the thing for you. Your favourite NESCAFÉ® Dolce Gusto® drink has its own hot chocolate glass, designed specially to help you make the most of your break. As your Chococino has such a lovely layer of frothy milk, why not show it off? You’ll be able to see every inch of velvety, chocolatey liquid from the first sip to the last. After all, the enjoyment of sitting back with a NESCAFÉ® Dolce Gusto® creation begins with its professional, coffee shop look and lovely aroma. Whether you’re enjoying a quiet moment by yourself after a long day, or enjoying a hot chocolate with friends after a meal, you’ll be sure to add a bit of ‘wow’ with these hot chocolate glasses. Simple and modern, striking but unfussy, they’ll look great in any kitchen. For extra ease of use they’re suitable for dishwashers, meaning less fuss when it comes to cleaning. With two in the set, they’re great for enjoying in company or just for when you want a spare. 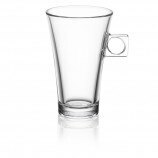 So whatever the occasion and how ever you like to enjoy your Chococino, make the most of your great little pods and give them the hot chocolate cup they deserve. 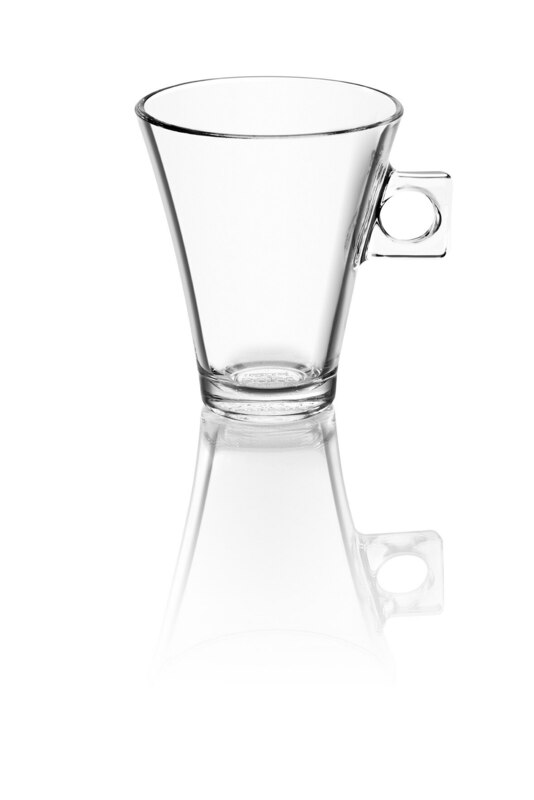 If you love stepping up your game with our Chococino glasses, why not give our latte glasses a try as well? Sets for chococino and cappuccino. Im on my 3rd machine now my partner bought me the elipse even though he only drinks tea. I find it very stylish. When my friends come round they all say it'sike something from the future.im very pleased with it. I've been pleased with them all. I love the way it folds up to a giant silver polo and being gray and black it matches my white units and silver and black Neff hob and oven.I love it!!!! I bought the glass Expresso set but was disappointed that they wobbled on the saucer.The Chococino glass set has no saucer so I shall be ordering a set soon. I ordered 2 sets of these cups using my voucher code, they arrived today and were in perfect condition. In my opinion they just make my drinks from my new coffee machine so much better. Good sixe for all of the varieties of drink too. This is a nice set that is perfect for what it does, a narrow bottom with a wide top which is deceptive of how much it can hold. 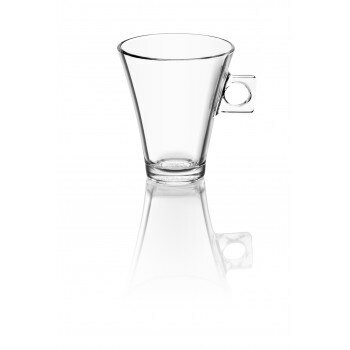 Perfect size, lovely heavyweight glass cups. Ordered it for children`s hot chocolate. Also use it for tea and café au lait. Will order other cups too.